Spirited entrepreneurs are taking a page from the booming brewing industry in the area and creating a fast-growing trend of microdistilleries. New Orleans is perfectly poised to be a powerhouse for both the production and consumption of spirits. We already have the consumption part down, and production is ramping up. It seems like almost a no-brainer that New Orleans would have been teeming with folks making hooch for all of the 300 years of the city’s existence, but surprisingly, there’s no record of anything established pre- or post-Prohibition. Perhaps NOLA residents and business owners have been historically more apt to drink liquor than make it. Up until this year, there were only three businesses distilling spirits in the city; now there are five more poised to open in or by 2017 including a brand new restaurant-distillery which will take two of NOLA’s obsessions -- eating and drinking -- to the next level. True to the Crescent City’s creative spirit, these distillers are using local ingredients and unique flavor profiles to create something that’s distinct to the city and the region. With Louisiana’s native sugarcane agriculture industry and the city’s proximity to the traditional Caribbean rum economies, one might think that rum distilling would be a deeply entrenched industry here. However, history shows that the New Orleans rum story didn’t start until 1995, when artist James Michalopoulos founded Celebration Distillation, makers of Old New Orleans Rum. Celebration was also the first distillery in the country to produce rum. Celebration hasn’t been resting on its laurels. Its 20th anniversary King Creole rum won the highest honors in North America from the American Beverage Tasting Institute, which lauded the rum as the best in the United States. The Cajun spiced rum is a fixture on cocktail lists at bars all over town, and the distillery itself is a great visitor attraction with tours every day and courtesy shuttles available from the Quarter. Atelier Vie opened in 2011 with another region-specific spirit, absinthe. 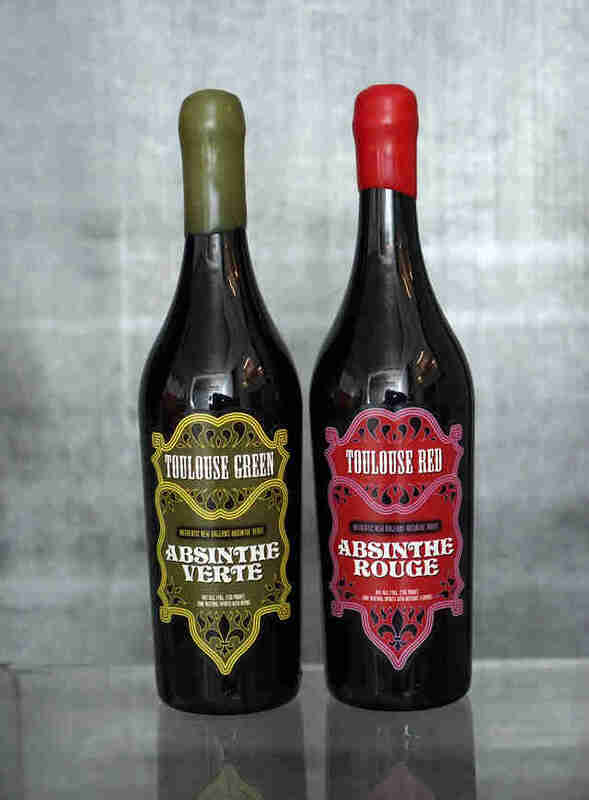 Founder Jedd Haas created a new twist on a very old spirit -- Toulouse Red, the first absinthe distilled in the country since the 1912 ban on wormwood was lifted 100 years later. Toulouse Green, a more traditional absinthe, soon followed. Atelier Vie has also made its mark with unique products such as its Euphrosine gin #9 Barrel Finished Reserve and Orphan Street brandy, the first barrel-aged grape brandy made in Louisiana since Prohibition (if not longer). The limited-batch brandy was “an experiment very long in the making” and, in order to get the VS (very special) brandy designation, the fruit based spirit must be aged at least two years in oak barrels. 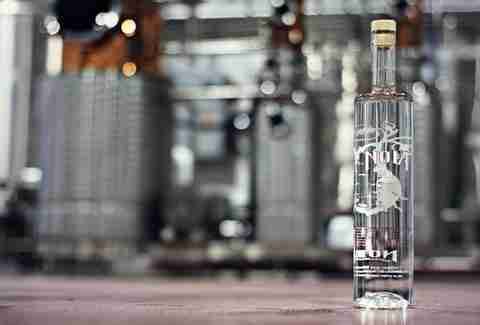 Cajun Spirits began producing vodka in 2015 out of a warehouse in an industrial area on Poydras St, a labor of love from brothers Gus and Edward Haik that was five years in the making. The distillery’s newest product on the market is a hearty, botanical yet juniper-forward gin, and the Haik brothers have rum currently barrel aging for future release. The “tasting lab” has been open to the public for special events and during Saints game tailgates (the distillery is right up Poydras St from the Superdome). That’s where the Haiks can get a little freaky with their vodka experimentation, adding Japanese plum, local satsuma, Earl Grey tea, or other top secret ingredients. 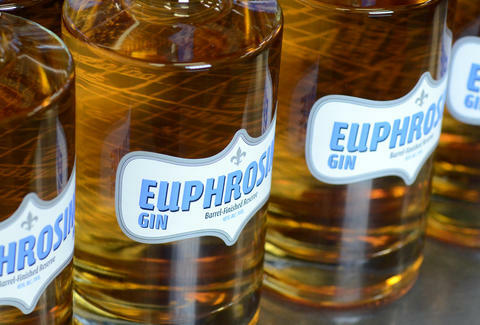 “We want to do some weird flavors that are generally difficult to get in a bottle,” Gus said. The distillery’s tasting room will be open to the public in the new year, and they’ll offer scheduled weekly tours and tastings. Right now, public tours and tastings are by appointment only. On the heels of his successful local brewery, NOLA Brewing founder Kirk Coco decided to branch out into spirits. “It’s a no-brainer with the cocktail culture here,” he said. NOLA Distilling is in the former neighborhood bar Marlene’s on Tchoupitoulas St, mere blocks away from the brewery, also on Tchoup. NOLA Distilling uses Louisiana sweet potatoes as the base ingredient for the spirits, and the team has been busy producing NOLA vodka and running test batches of whiskey. Future releases include gin, a pepper vodka, and a coffee liqueur made in collaboration with New Orleans coffee roasters French Truck. The tasting room is still under construction and not open to the public, although private tours and tastings can be arranged. 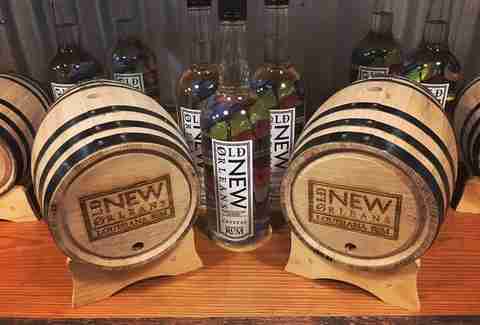 Andy Kucher, who runs the daily operations at NOLA Distilling, said that they anticipate the tasting room opening in the first half of 2017. Similarly, Roulaison Distilling’s Andrew Lohfeld is a former homebrewer who fell into craft distilling. He worked at Kings County Distillery in New York before deciding to work with former University of Pennsylvania classmate and Morgan City, LA native Patrick Hernández to open a distillery in New Orleans. "Roulaison" is the French-Creole word for the sugar cane harvest, and Roulaison plans on focusing on small batch and experimental rums. Lohfeld noted that there’s a lot of room in the New Orleans market for creative freedom in distilling rum. “I want to make a rum that doesn’t taste like any other rum,” Lohfeld said, noting that the funky characteristics of Brettanomyces and the ester-heavy yeasts from Belgian styles are flavor aspects he’s looking to cultivate. He also plans to experiment with aging rum in different types of barrels, from whiskey to sherry. Lohfeld and Hernandez begin the process of rum distilling with molasses from Lafourche Sugar in Thibodaux -- the best in the country, according to Lohfeld. “You can’t get it anywhere else outside of Louisiana.” He then experiments with different yeast types in fermentation including Belgian beer yeasts, wine yeasts, and wild yeasts like Bretts. The pair are still dialing in the flavor profiles, but are legally clear to release their product once it’s ready, a white rum to start. Further experimentation will occur in the tasting room, which they anticipate will be open in February. A new concept in spirits is set to open in the new year -- a full service restaurant with an on-site craft distillery. Lula Restaurant Distillery will be kind of like a brewpub, but with vodka, gin, and rum. There’s nothing like it in the area, and power couple Jess and Erin Bourgeois are looking to capitalize on Jess’ culinary background, the distillery’s central location on St. Charles St in the Lower Garden District, and the unique concept to find their niche in New Orleans’ growing distillery market. The top to bottom renovation of a former furniture store includes a copper still behind a glass partition, reclaimed wood cladding on the walls, shelves displaying jars of botanicals used in Lula’s gin recipe, and a long bar with six house spirit cocktails on tap, along with a full array of other distilleries’ booze as well as wine and local beer. The food experience looks to be solid as well. In the Louisiana tradition, boiled seafood will be available year round based on what’s in season -- crawfish, shrimp, or blue crab. Have them done traditional style with potatoes and corn, or go for the ginger lemongrass or hot garlic versions. Food eaten with actual silverware looks tasty, too. We’re eyeing the escargot, braised rabbit with white beans, and boudin-stuffed quail. There are creative but hearty-looking salads and sandwiches available too, and the fried mirliton pickle app looks to die for. Lula will open in January, just in time for 2017’s Uptown Mardi Gras parades. The restaurant has room to seat 50 for regular service, and Jess and Erin plan to set up grandstand seating so even more people can enjoy the parades while boozing it up all fancy and local. And although Lula can’t distribute outside the restaurant, customers can buy bottles from the distilling side of the business. There are a few more microdistilleries on the horizon: Porch Jam, founded by Scotsman and former brewer Gordon Stewart, who aims to distribute on a national and international level. 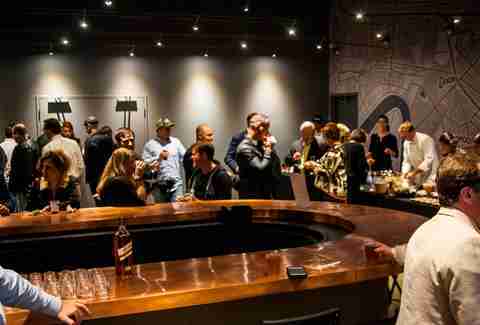 Seven Three Distilling, which is named after the number of neighborhoods in New Orleans, and will include an interactive exhibit of distilling pre- and post-Prohibition. Both of these businesses are still in early stages of construction and acquiring permits and licenses, but they are the next generation of local craft distillers opening in New Orleans. Nora McGunnigle is very happy to know that in case of zombie apocalypse there will be plenty of local hooch to imbibe. Follow her other weird trains of thought at @noradeirdre on Twitter and @nolabeerblog on Instagram.